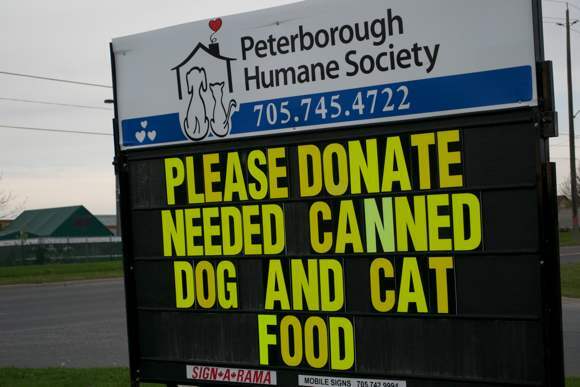 The Peterborough Humane Society is looking for donations of dog and cat food and other items. The PHS works tirelessly to take care of the animals brought in to the shelter, and to try and find them loving homes. They are always in need of a variety of items and would happily accept blankets/towels, cleaning supplies, animal toys and treats, as well as spare change and Canadian Tire money.